Here's a sermon by Jason Jaggard (I wish I could link specifically to his sermon, but I don't think I can -- so you'll have to scroll down) about living inspirationally. As I read that scripture, what stands out is "...it is God who works in you to will and to act in order to fulfill his good purpose." Have you ever wanted to do God's will, but just can't seem to get it together? Or feel as if there is some barrier between what you do and what you want to do...who you are and who you want to be? It's like how Paul puts it in Romans 7:15 - "I do not understand what I do. For what I want to do I do not do, but what I hate I do." If you read the rest of that passage, Paul goes on to explain the tumultuous conflict inside. After a series of back and forth, he gets to the end with, "What a wretched man I am! Who will rescue me from this body that is subject to death? Thanks be to God, who delivers me through Jesus Christ our Lord!" Apparently we need God...a lot; just to do what we honestly desire to do. And I'm feeling that right now in life. But that takes trust. Try and get to the bottom of yourself and ask -- do you trust God to handle your life, marriage, children, career, money, business? It's tougher than it seems. But God is faithful and won't leave us. There's the struggle; but that's part of a life that can only be explained by God (see below). And that's a life worth living. Scripture is an echo throughout history that says, "God cares." Having more integrity, more compassion, less bitterness, etc. Matthew 5:14a - "You are the light of the world." God has "plans to prosper you..."
It's based on 1 Samuel 7:1-10, about the Israelites turning back towards the Lord, but then being attacked by their enemies. They beckon God to show up and save them, and He does! In the sermon Goodie says, "Courage to sacrifice is the prelude to the phenomenal." What an awesome statement! I've been thinking about courage a lot lately (and have written about it). It's often believed that self-preservation is basic human nature, so just embrace it and get what you want in life. But are these the folks that are truly celebrated in life? No! It's the ones that sacrifice themselves, through life or in death, that receive the highest honor. It's also what Jesus did. So the next time you're given the opportunity to inconvenience yourself for the good of someone else, take it! Then see what God does! We have been given "every spiritual blessing in Christ," (see below) which means we can expect big things from God! 1 Samuel 3:19 - "The LORD was with Samuel as he grew up, and he let none of Samuel's words fall to the ground." Are we willing to confront our own compromises? Ephesians 1:3 - " Praise be to the God and Father of our Lord Jesus Christ, who has blessed us in the heavenly realms with every spiritual blessing in Christ." We have been given "every spiritual blessing"
What are you compromising in when it comes to God? Where are you settling? 1 Samuel 7:10 - "While Samuel was sacrificing the burnt offering, the Philistines drew near to engage Israel in battle. But that day the Lord thundered with loud thunder against the Philistines and threw them into such a panic that they were routed before the Israelites." We all need "that day"
Here is #5 in the Words We Live by series, a sermon by Joseph Barkley. It seems like I missed the even numbered sermons in this series, so you'll have to check #4 out for yourself. Why should we expect people to adhere to Christian rules if they are not Christians? Maybe, instead of worrying about enforcing rules for living, we focus on loving people and let God change hearts and behavior, in His time? There's some good notes below. Matthew 18:15-20 - “If your brother or sister sins, go and point out their fault, just between the two of you. If they listen to you, you have won them over. But if they will not listen, take one or two others along, so that ‘every matter may be established by the testimony of two or three witnesses.’ If they still refuse to listen, tell it to the church; and if they refuse to listen even to the church, treat them as you would a pagan or a tax collector. “Truly I tell you, whatever you bind on earth will be bound in heaven, and whatever you loose on earth will be loosed in heaven. NOT "FIND PEOPLE WHO AGREE WITH YOU AND GANG UP ON SOMEONE"
"TREAT THEM AS A PAGAN OR TAX COLLECTOR"
"WHERE 2 OF 3 GATHER..."
IT MEANS "TOWARDS MY NAME"
I missed sermon #2...so you're gonna have to go look that one up yourself. The moment I saw this, I was disgusted. 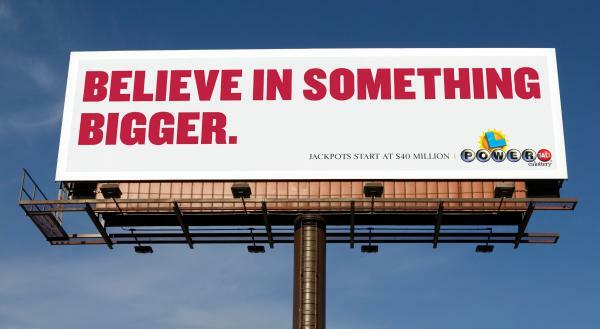 If your "something bigger" in life is winning the lottery, then what kind of hope is that? And will it ever be realized? Probably not. But as I reflect on it, is it so different than most of our "something bigger?" Most of us dream of the day we may have tons of money, and imagine what we would do with that money. It's a fun dream to indulge in, and really that's a lot of what we work for...the day we have more. Joseph points out that this isn't actually a dream for "something bigger," but rather "something more." We all want more, which is natural. But what if we had enough, right now? How would that change us? Philippians 4:11b - 13- "...I have learned to be content whatever the circumstances. I know what it is to be in need, and I know what it is to have plenty. I have learned the secret of being content in any and every situation, whether well fed or hungry, whether living in plenty or in want. I can do all this through him who gives me strength." Philippians 4:13 isn't about accomplishing your goals, but about our need to be happy and content. What is universally true about humans then, that is common to humankind? Who wouldn't want to know that? That would mean no more fear that our dreams wouldn't be realized, or that we would be haunted by what could have been. Contentment has nothing to do with circumstance. Throughout everything, Paul's first attachment is to Jesus. Believe in something bigger, not just more. The thing Paul loved the most could not be taken from him -- that is the secret. Paul didn't want to be in prison, but he wanted Jesus more. He lost his life. You cannot steal from a life that's been lost. Paul doesn't say "I can think all things." God is doing something with you right now. God does not leave us alone in pain. He doesn't always explain it, but He joins us in it. You can be complete in Jesus Christ, right now. If you are in prosperity, it's easy to make that the new normal. Maybe God wants us to show the world that there is more.